It’s rare when you can get two NFL teams to agree on something, but getting them to agree to share one stadium between them is ever more rare, especially in a city like Los Angeles where ego is everything in all industries. The San Diego Chargers and the Oakland Raiders will be pursuing their own stadiums, but they’re playing it smart if they can’t make a deal, then they may save some major money by becoming roomies. 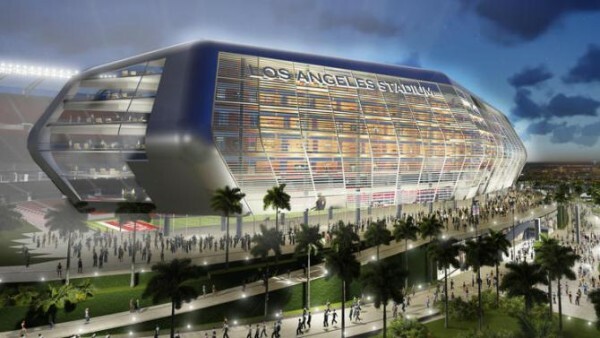 The San Diego Chargers and Oakland Raiders are teaming up on a plan to build a $1.7 billion stadium in Carson that the two franchises would share, according to the Los Angeles Times. The two AFC West teams will continue to pursue new stadiums in their local markets but if they can’t get deals done by the end of the year, they will move forward with the privately financed stadium. Carson is also home to the Home Depot Center, where the L.A. Galaxy play their Major League Soccer games. The partnership, dubbed “Carson2gether,” will reportedly be announced Friday at a news conference near the 168-acre site. L.A. has been without a football team for nearly two decades after the Raiders and Rams, who moved to St. Louis, left the city. Several unsuccessful bids have tried to lure new teams to Los Angeles, including AEG’s once-promising offer to finance Farmer’s Field in 2012. The project, approved by the L.A. City Council, has yet to persuade an NFL team to move to downtown.